Best Shotgun Scope for Turkey Hunting Reviews: Top 7 in April 2019! 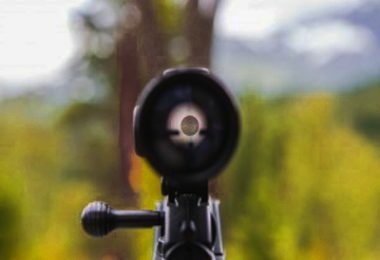 5 MOA reticles designed for quick acquisition. Shotgun/Muzzleloader Parallax preset for 75 yards. Well its time to make them eat their hats, and the only way you can do that is by coming back with too much game in hand. Making a kill shot every time. You save on ammo, save on frustration, and save on time. 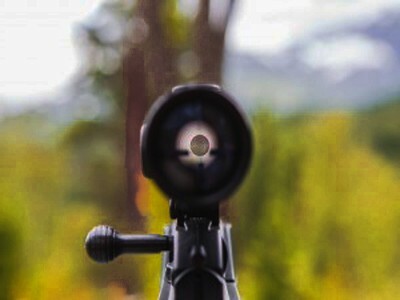 The choice of scope is dependent on the level of your experience, the ranges you intend to shoot and the targeting measurements you want to consider. Shotgun sights are common these days, as scope manufacturers provide some heavy-duty shock absorbing scopes that will take your recoil in hand. I have added a guide at the bottom of this review, so let’s look at the best shotgun scopes for a turkey shoot. The Weaver Kaspa comes in a number of finishes and options, this is their hunting version with camo finish. What is good about this scope is that it will fit a shotgun as well as a rifle. 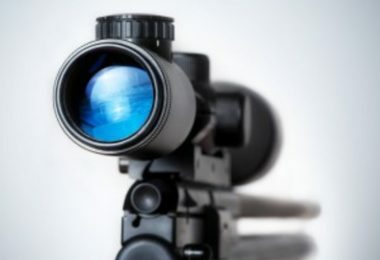 This scope was designed to withstand heavy recoil, and while most shotgun enthusiasts don’t use scopes for competition and range shooting, when hunting a scope can mean the difference between a once in a lifetime kill shot and a miss. The 1x magnification is perfect for close up shots, and the 4x range provides with extra clarity for those distance shots. The tube has been nitrogen purged to eliminate internal fogging, and the lenses are multi-coated for enhanced clarity and light transmission. TRUGLO’s TG8030DB 30mm Red-Dot Sight’s 5-MOA Dual-Color red and green reticle makes targeting easy for anyone. This is a lightweight CNC machined scope that comes with all the features you would expect for shotgun integration. The main feature is its unlimited eye relief that enables you to scope for as long as you like without refocusing issues. VX®-1 riflescopes come with their LR Duplex® reticle of the Ballistics Aiming System™ which delivers some of the most accurate aiming options you can find in any shotgun scope system. This model comes with their Multi-coat 4® lens system that provides exceptional clarity from edge to edge of the visual field and assures you of a well-defined contrast with bright sight picture in all conditions, including the most extreme. 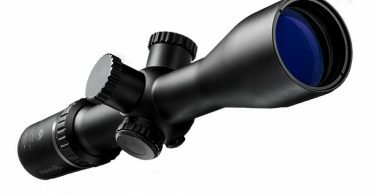 The scope comes with a 3:1 Zoom Ratio and integrates the Leupold® Ballistics Aiming System™ (BAS) which uses multiple aiming points for longer ranges and varying wind speeds. The adjustment for windage uses a ¼ MOA Finger Click 1, and the scope is sealed with nitrogen gas providing a 100% Waterproof and Fogproof solution. 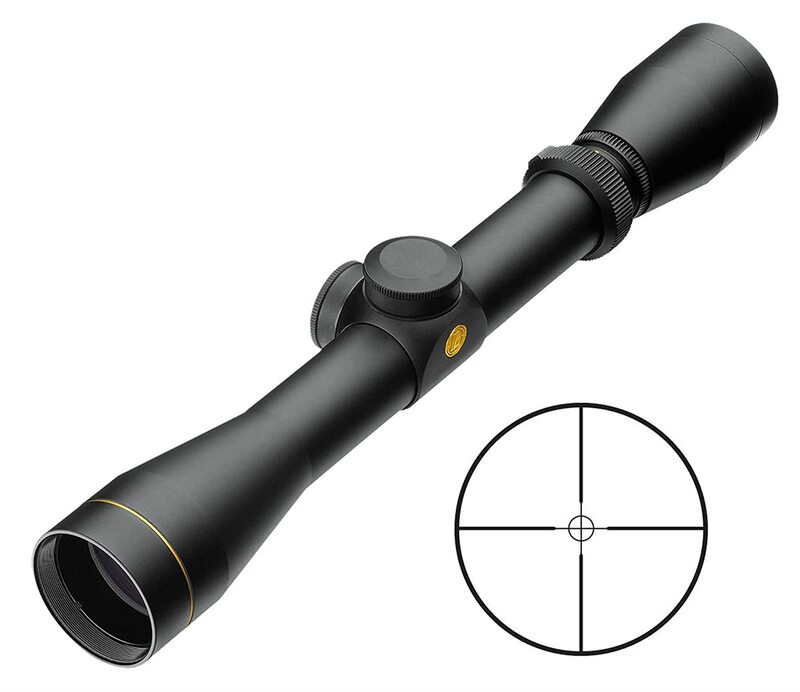 The Bushnell Trophy1.75-4x 32mm #751432 is a highly versatile scope designed for both slug and lever guns. This scope comes with their integrated Circle-X reticle. The body is sealed with O-ring optics, and integrates the Rainguard® which makes it waterproof and submersible, and is also fogproof too. 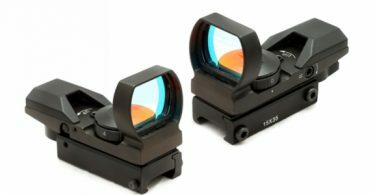 The multi-coated lenses retain a bright and clear image even in the most hazardous of environments, and the side parallax adjustment allows you to scope without removing your eye from the target. 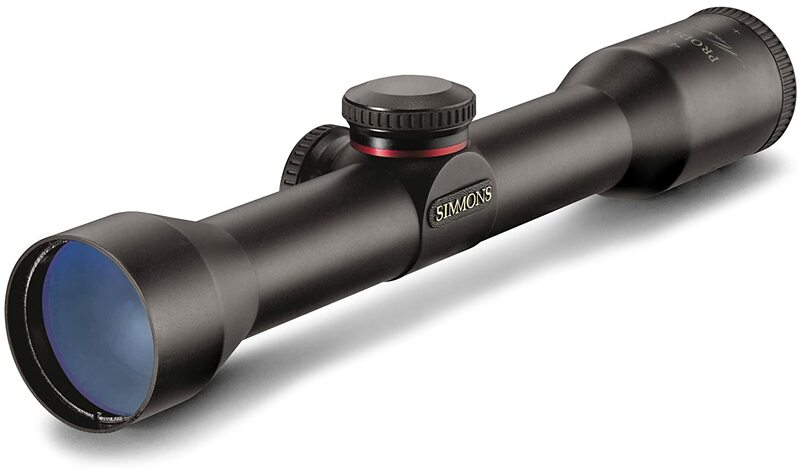 The Simmons® ProHunter scope is perhaps one of the leading scopes on the market and is especially suitable for shotgun hunting requirements. This scope comes with the Simmons TrueZero™ windage and elevation adjustment system making it easy to click while fixated on the target. The QTA™ (Quick Target Acquisition) eyepiece provides you with 3.75” eye relief. 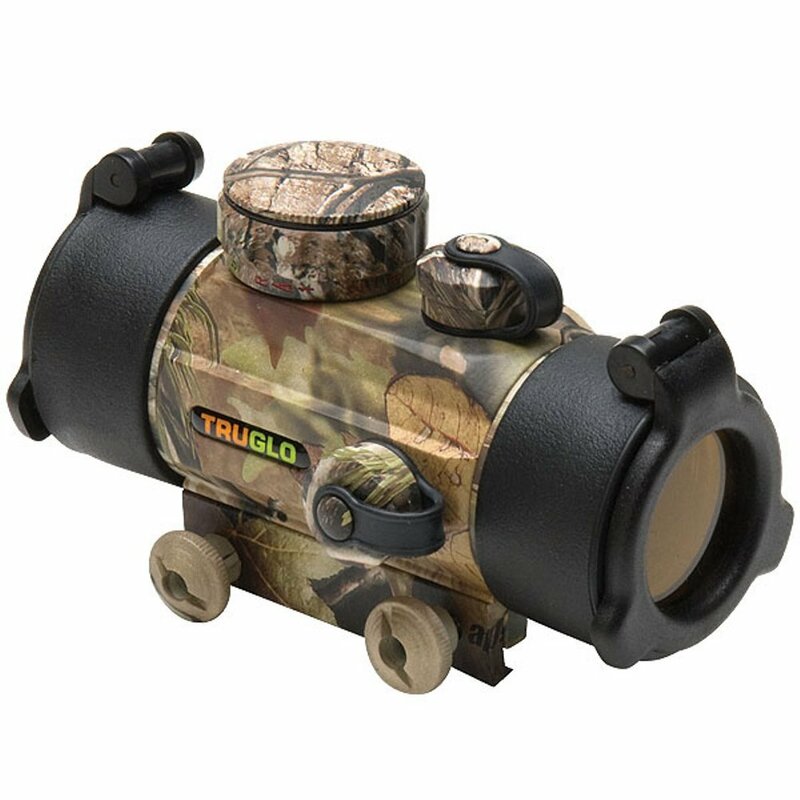 The TruGlo 4×32 Compact Rimfire Riflescope with 3/8″ Rings is a feat of precision engineering providing you with a single machined aluminum body covered by a non-reflective durable, scratch resistant, and durable coating. 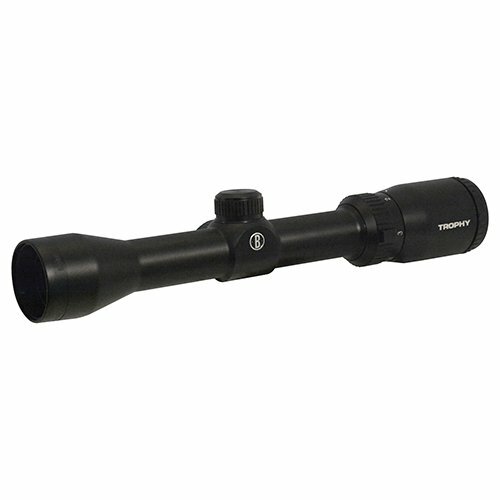 This scope comes with a 4″ rubber eye-guard for extra eye relief, and the elevation and windage adjustment use a precision machined leaf spring. The fully coated lenses and duplex reticle provide both clarity and focus for precise ranging and targeting, and the whole system is fully waterproof and fog proof. The Simmons® ProHunter scope is perhaps one of the leading scopes on the market and is especially suitable for shotgun hunting requirements. This scope comes with the Simmons TrueZero™ windage and elevation adjustment system making it easy to click while fixated on the target. The QTA™ (Quick Target Acquisition) eyepiece provides you with 3.75” eye relief. There are many reasons why scope is better than free-range targeting, even with a shotgun. For closer shots, even with a shotgun, crosshairs will fixate your focus on a specific body area, enabling you to maximize the effectivity of your shot. Scopes focus your vision; you don’t start to look up and down every second to make sure your shot is correct. With a scope, you aim and pull the trigger without taking your eye off the target. With the smaller game, larger vision is always helpful, and with the bigger game, targeting is improved with a bigger focal point. Its final, you got up and had a lightbulb go off in your head, you want to reach 100% effectivity in your hunt, and even with all the different guns you have, you keep missing out on some of the nimbler targets. Before you go off and buy the most expensive all-inclusive AI blockchain robot 63rd-century device that came with cable from the future, take a reality check and consider the following simple, down to earth functions that are all important for an exciting hunt with a great scope. Make sure your scope is made of durable materials, these include aluminum alloys or stainless-steel alloys that have good temperature management properties. If there is one function that might top all the others, its clarity of vision. There are nothing more frustrating than a scope that delivers a fuzzy image. Now, since we all hunt in perfect weather conditions, we have to make sure our lenses will withstand those amazing unchanging all sunny all clear days. Or to be exact, make sure your lenses are fog proof, waterproof and are precisely polished. The more features and functions you get, the less likely you will hit your target. Do you want to know why? Because you will be too busy fiddling with the features and not take the damned shot. Guess what; it’s a shotgun, not a precision simpers rifle with a 1-mile assassination shot through a glass window. Yup, the biggie. If you want good quality you have to pay for it; if you want a good ratio between price and quality, you have to fish for it. There are some amazing scopes with great prices, don’t buy the most expensive one, that’s like taking a million-dollar hypercar to a muddy stock car race. You do not need a 20x scope; this is a shotgun, 4x is the most you will need. Make sure your scope is matte, either black, grey or camo. Don’t take a flashy scope to a hunt; you are not seeking fans. Personally, I am against brightens features, if you are hunting at night, hunt with a normal scope, give the game a chance. Otherwise, go rent a helicopter with a Vulcan or take some hand grenades instead.